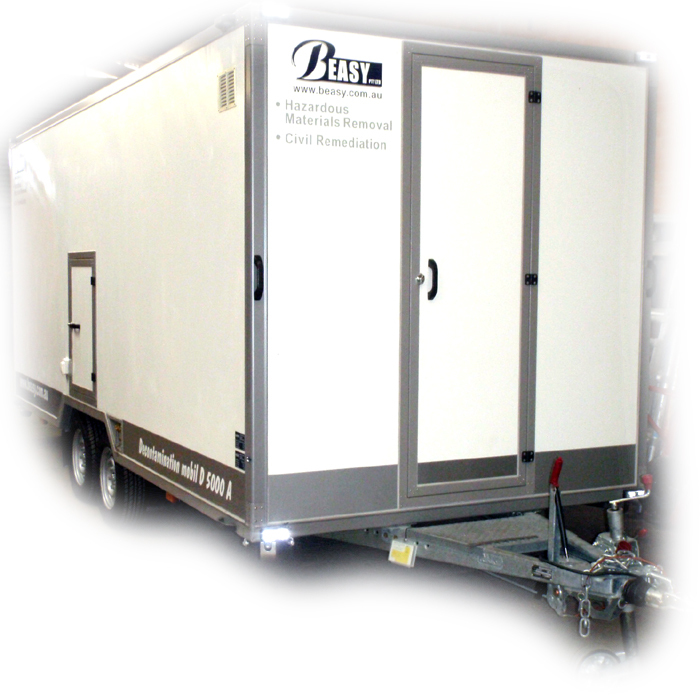 Beasy Pty Ltd is a WorkCover Friable Asbestos Removal Licence (ASA) holder and we are confidently committed to the safe & efficient removal of any type of asbestos and hazardous materials. We are industry leaders in the treatment and the safe removal of friable asbestos materials. Our proven track record demonstrates our ability to remove friable and bonded asbestos materials from all types of fully operational industrial and commercial sites as well as residential properties across Sydney metropolitan, suburban, and regional locations. Full encapsulation is required for the removal of friable asbestos, with a negative air system and the establishment of a decontamination unit. A NATA approved occupational hygienist will conduct air monitoring throughout the friable asbestos removal process to ensure the integrity of the encapsulation and that legislative requirements are met. Once the removal process has finished, a hygienist inspection report and clearance certificate should be obtained to ensure that the area is safe to reoccupy. 4 Commercial Rd, Kingsgrove – JBS Environmental – Friable asbestos dust removal and the encapsulation of the underside of the corrugated non-friable asbestos (bonded asbestos cement) roof sheeting. Warilla North Public School – NSW Public Works – School-wide friable asbestos removal from within the ceiling cavities of classrooms. The entire school was closed down for the entire duration of the works. 17 Speed Street, Liverpool (Rosebank) – Liverpool City Council – Friable asbestos removals within the heritage building, and the demolition of the adjacent add-on. 483 Kent Street, Sydney (Kentbridge House) – Built – 10 level façade removal in Sydney CBD including asbestos cement façade panels removal on the roof top of the building.